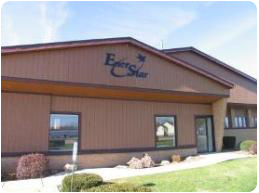 As a not-for-profit cooperative, EnerStar is owned and controlled by the members we serve. At the Annual Meeting of Members, elections are held to select the cooperative's board of directors. They are responsible for setting the cooperative's strategic and financial goals. EnerStar is a member of Touchstone Energy, an alliance of more than 720 electric cooperatives across the nation, meeting service excellence standards. Touchstone Energy cooperatives pledge to operate with integrity, accountability, innovation and a commitment to community.